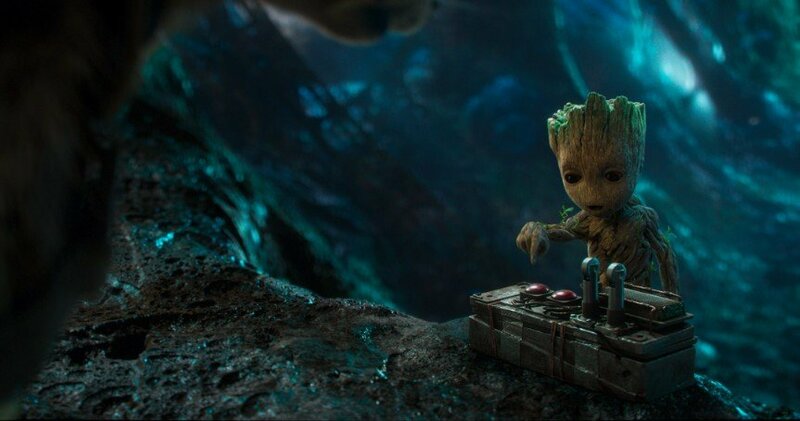 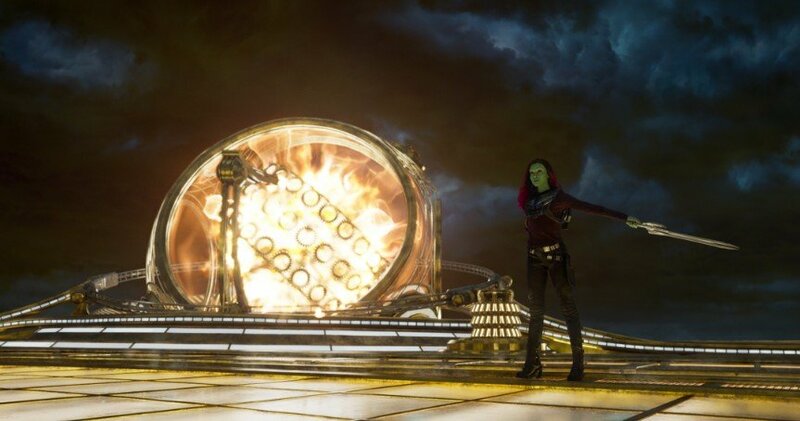 “There are two types of beings in the universe; those who dance, and those who do not.” And in the first of today’s four new clips for Guardians of the Galaxy Vol. 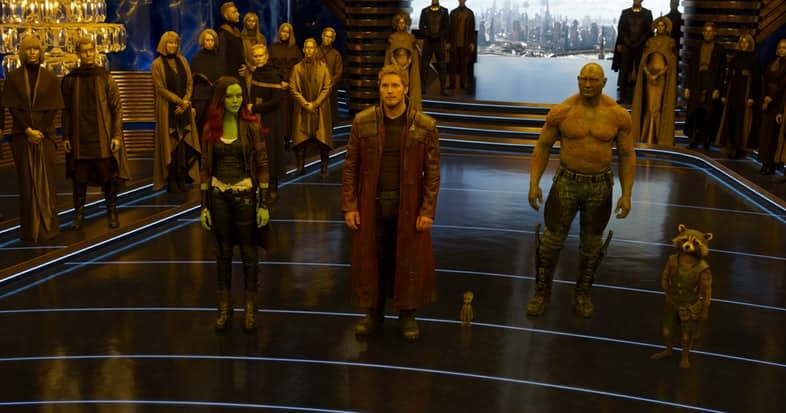 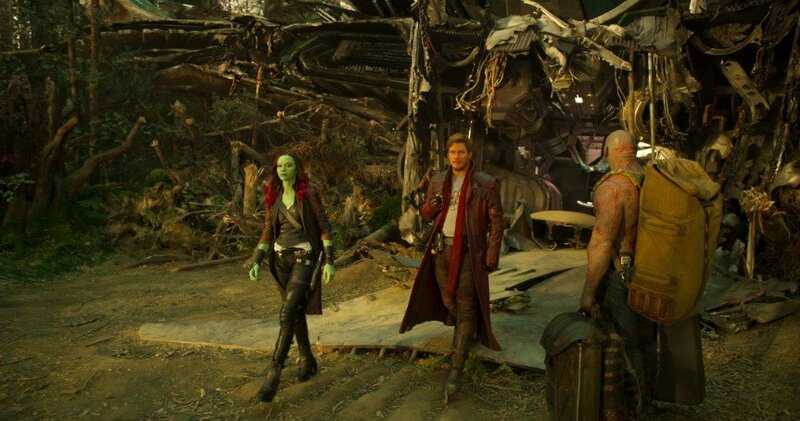 2, Star-Lord finally plucks up the courage to ask Gamora to dance. 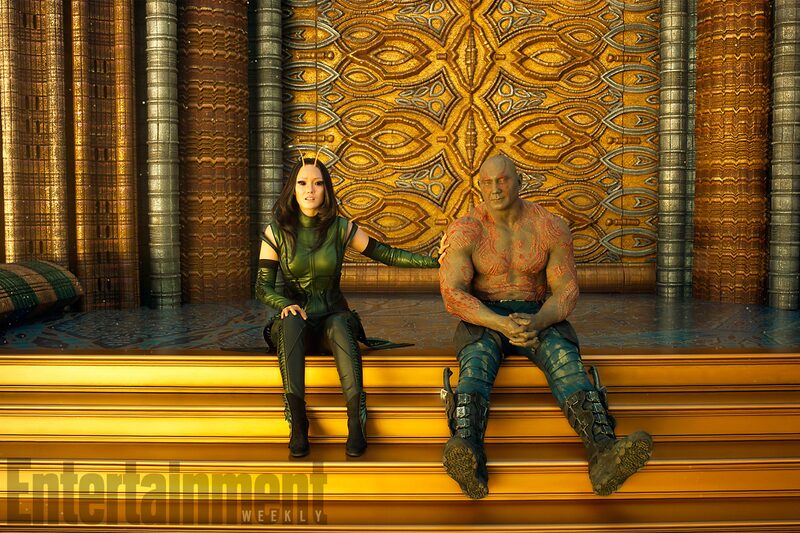 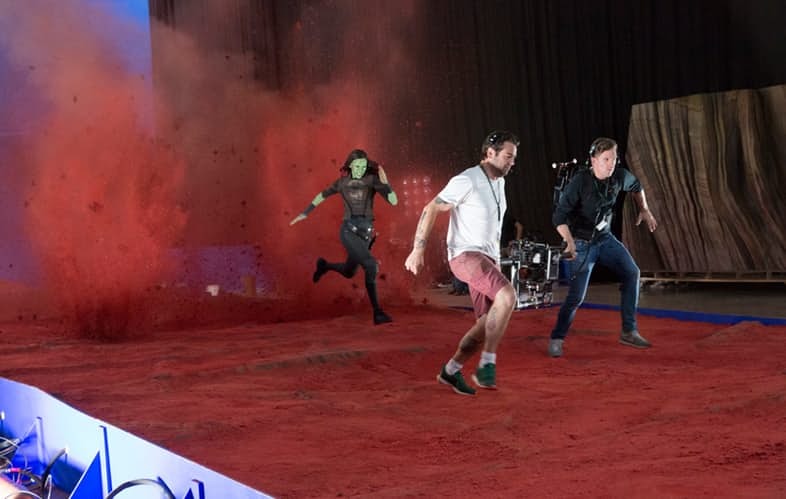 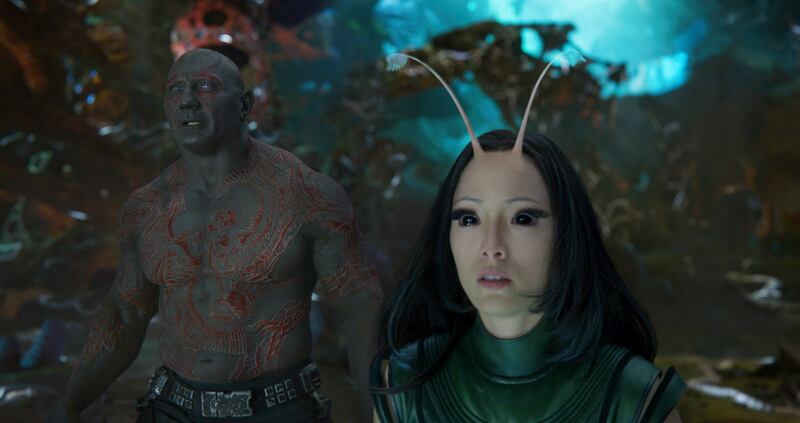 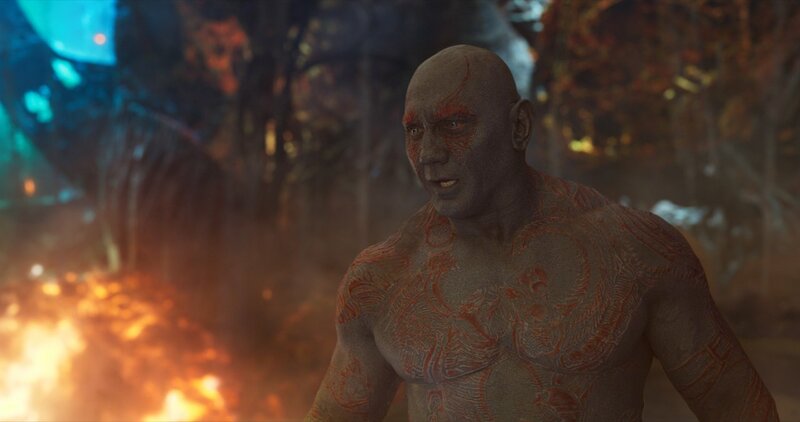 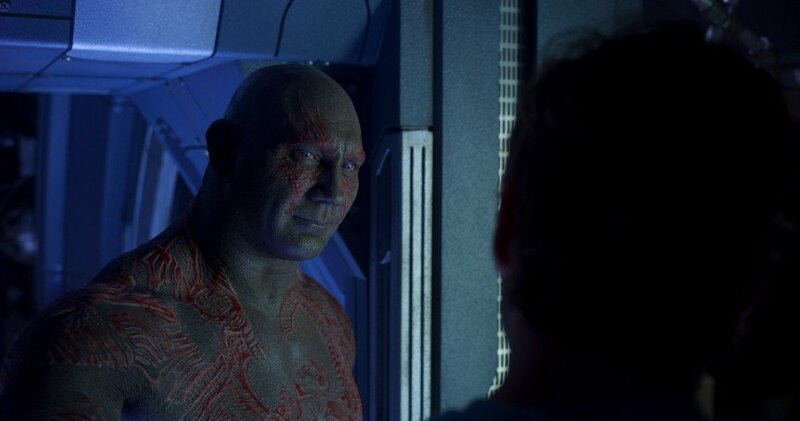 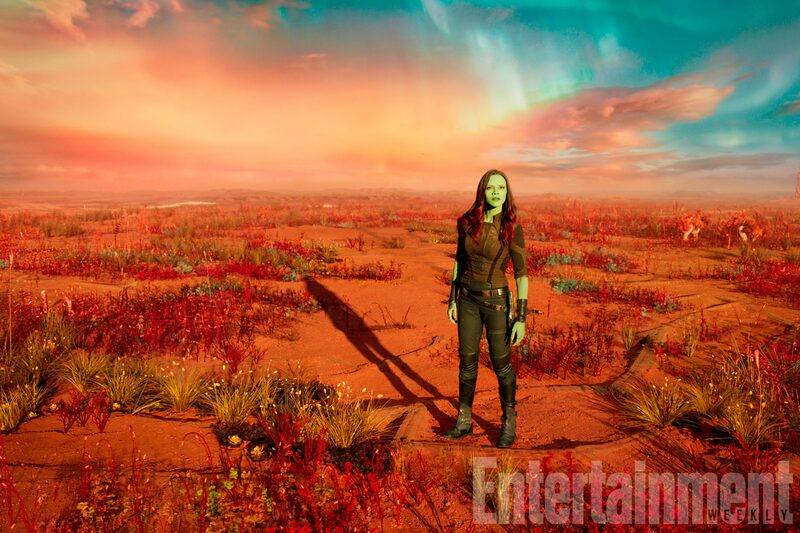 Drax, meanwhile, is busy tearing up a tendrilled space beast from the inside out, ignoring the advice of Zoe Saldana’s gun-toting warrior and tossing common sense to the wind. 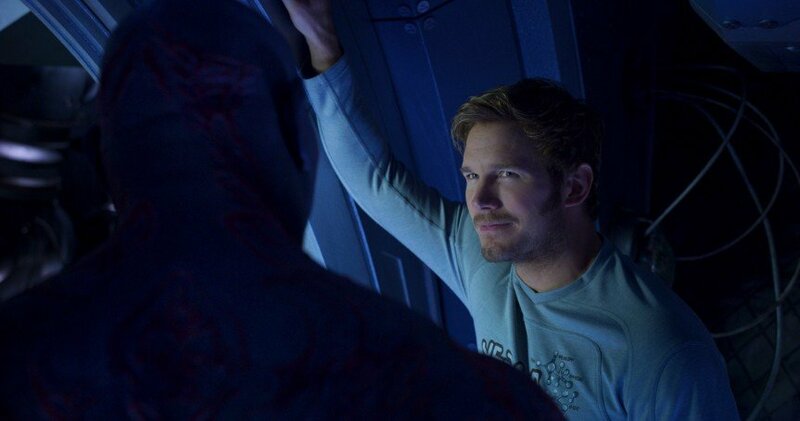 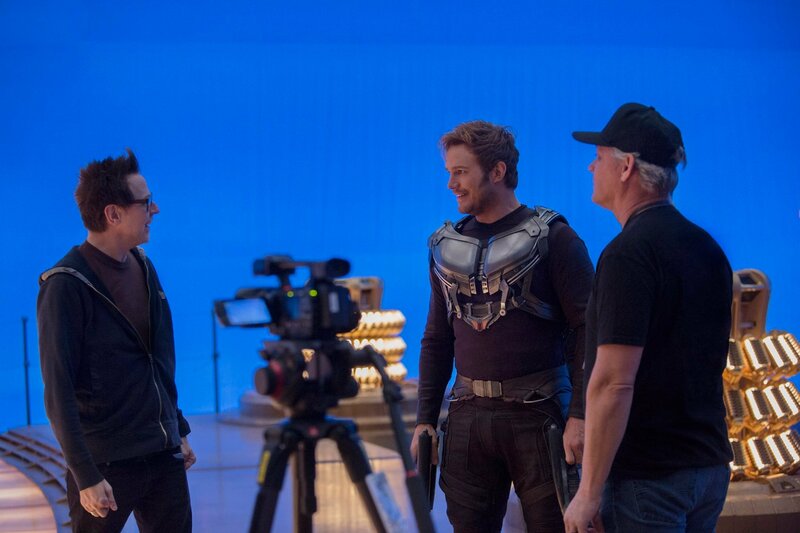 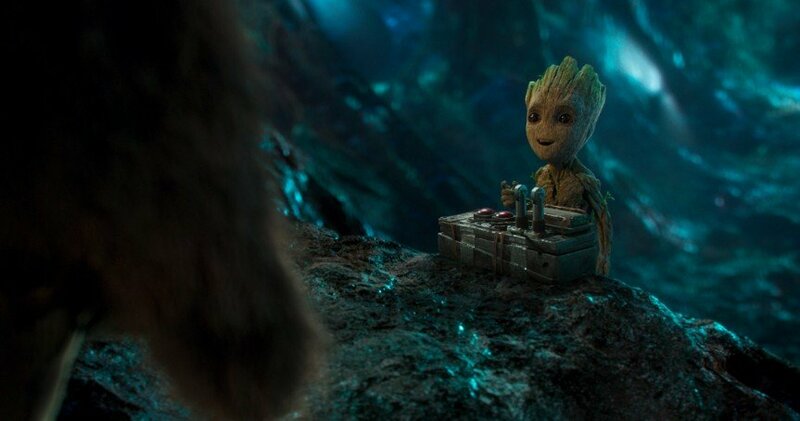 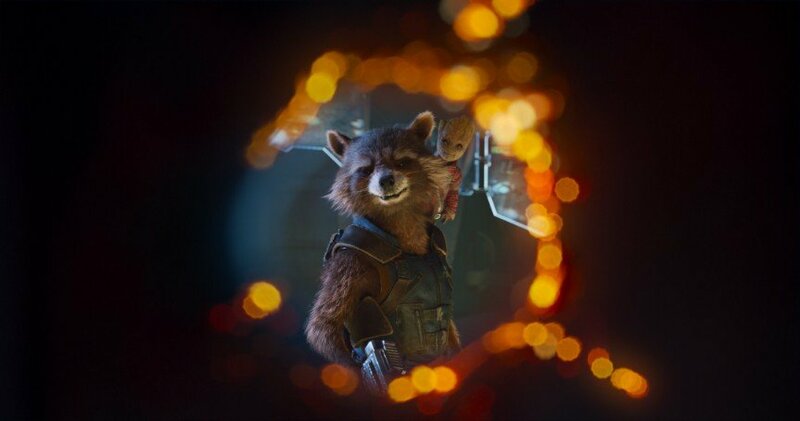 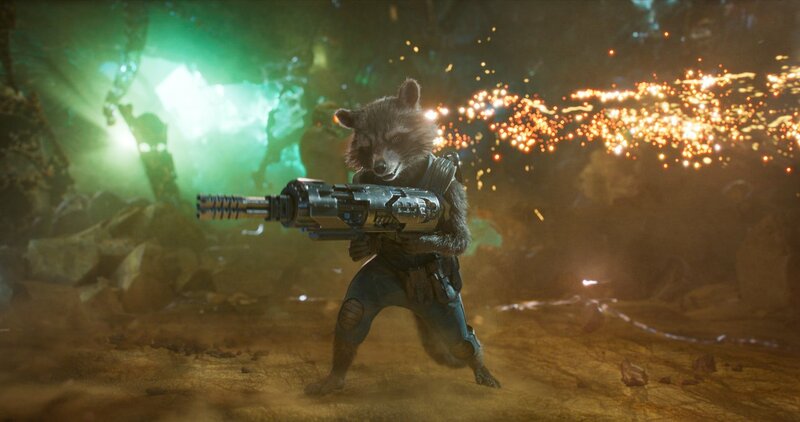 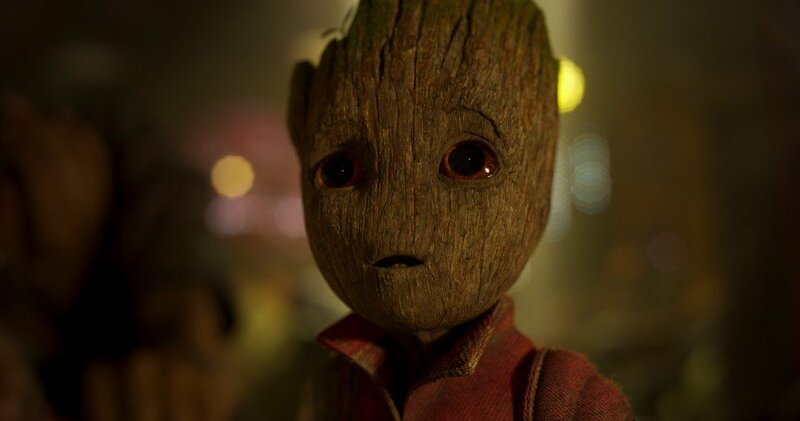 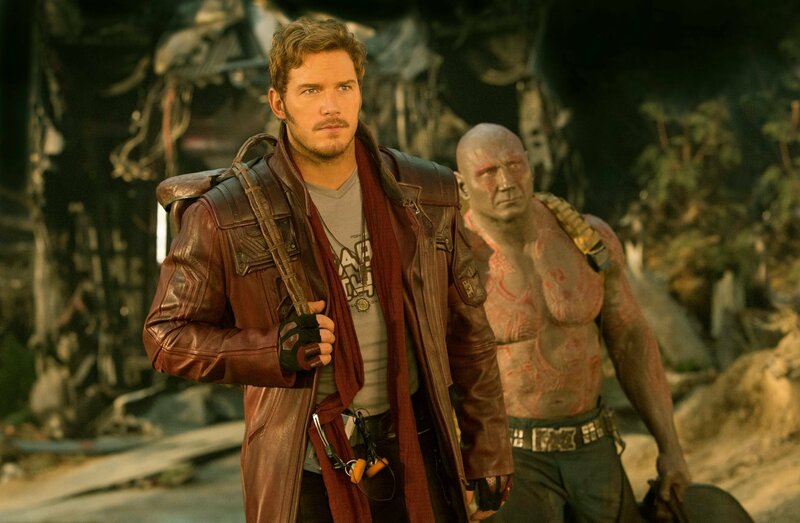 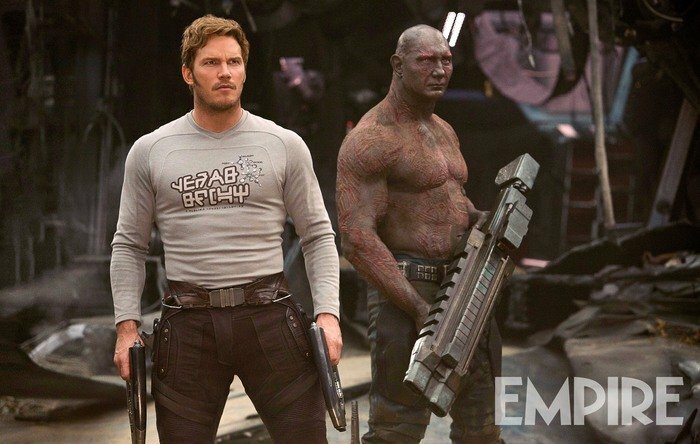 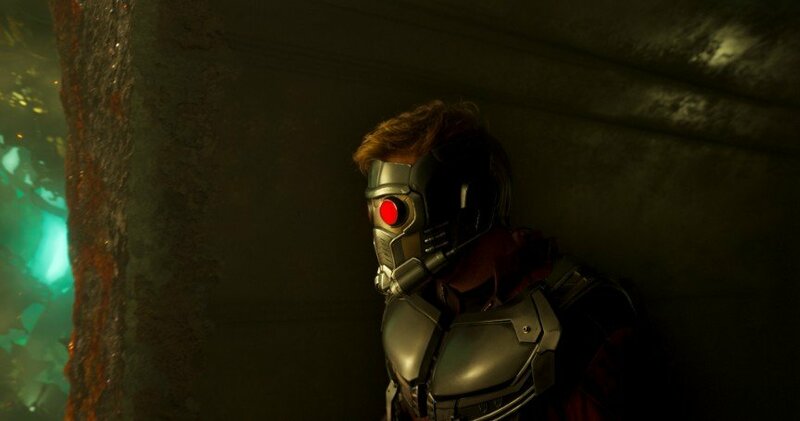 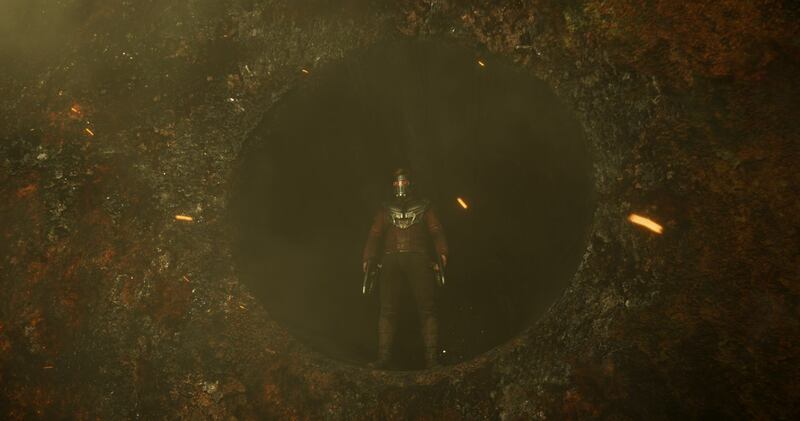 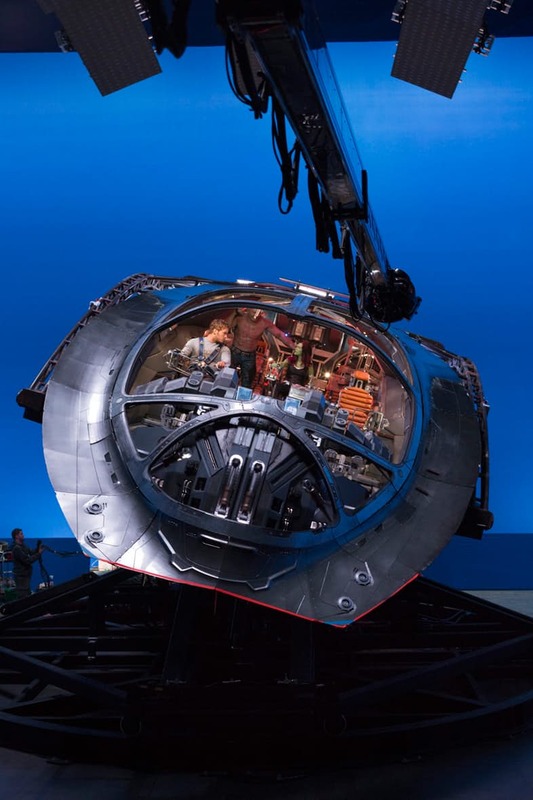 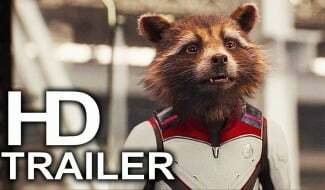 You’ll find that rib-tickling promo embedded below, alongside another pair of clips that feature Star-Lord encountering the Sovereign Fleet and Rocket Raccoon, warhead in hand, schooling Baby Groot on the importance of safety when handling explosives. 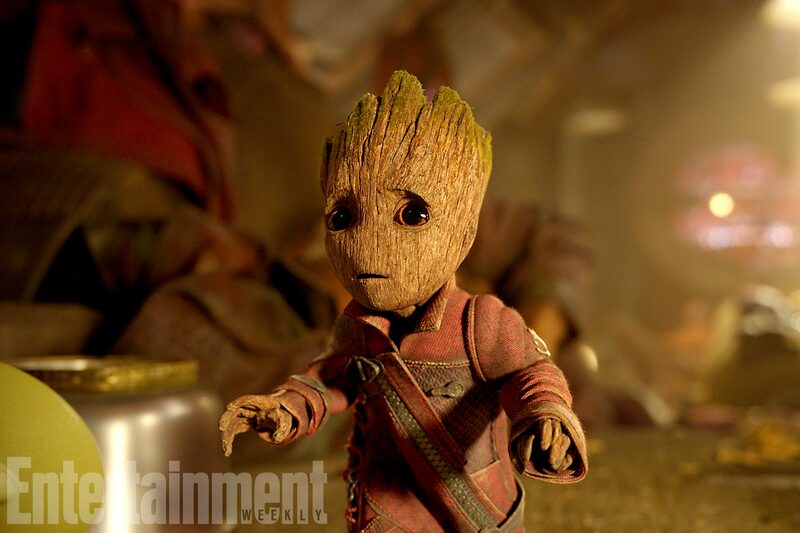 Of course, just like Dave Bautista’s mercenary before him, the lovable little sprout decides to blaze a path of his own, much to the dismay of Bradley Cooper’s Guardian. 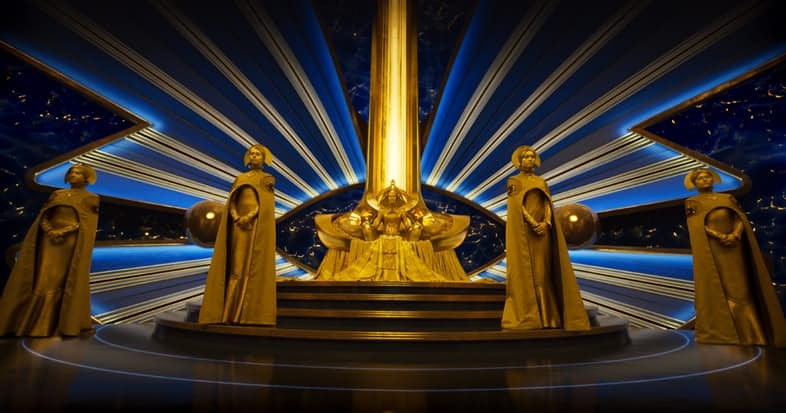 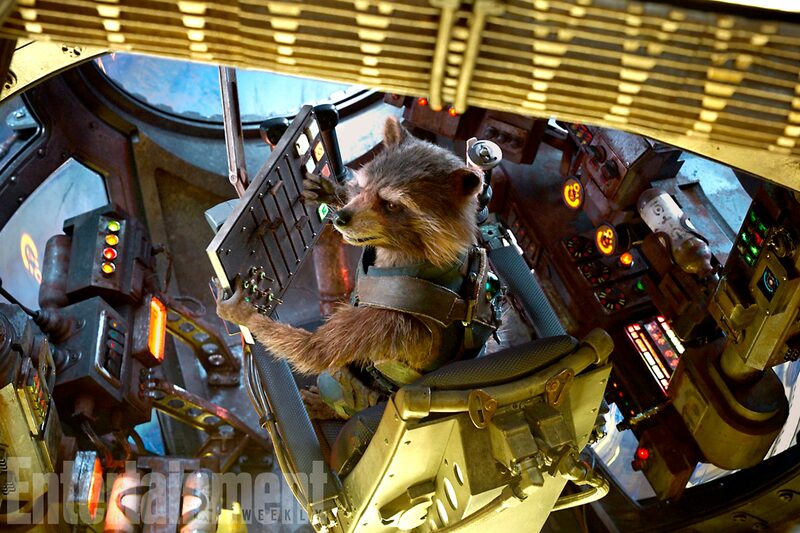 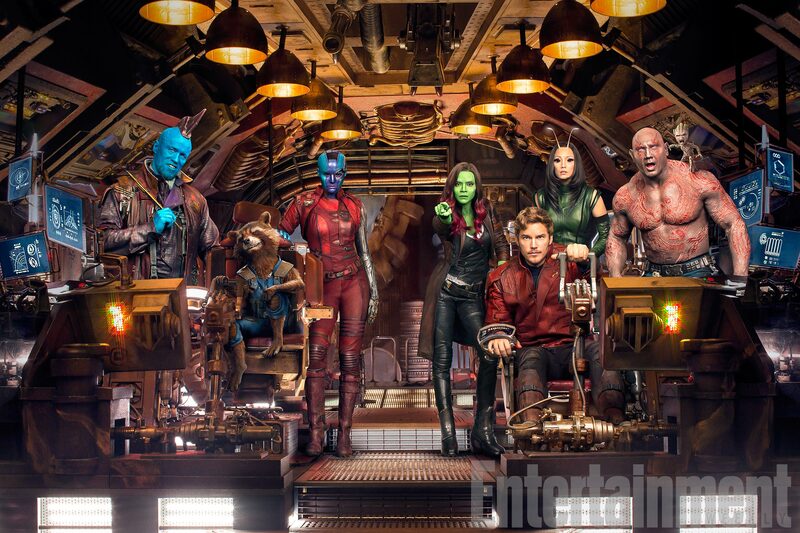 And so, as Guardians of the Galaxy Vol. 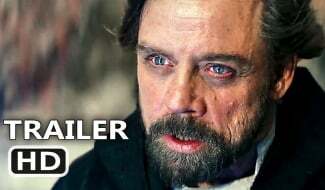 2 inches closer and closer to release, the excitement swirling around the four corners of the Internet is palpable. 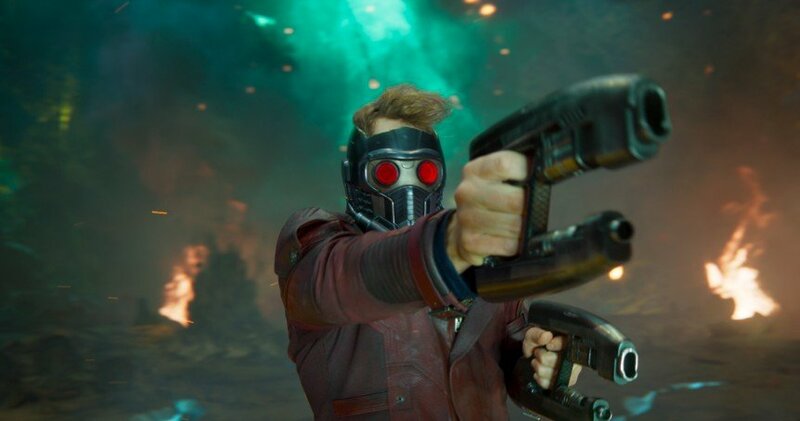 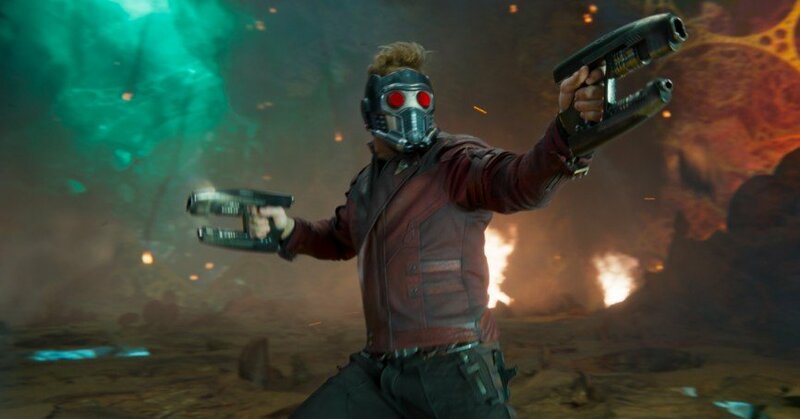 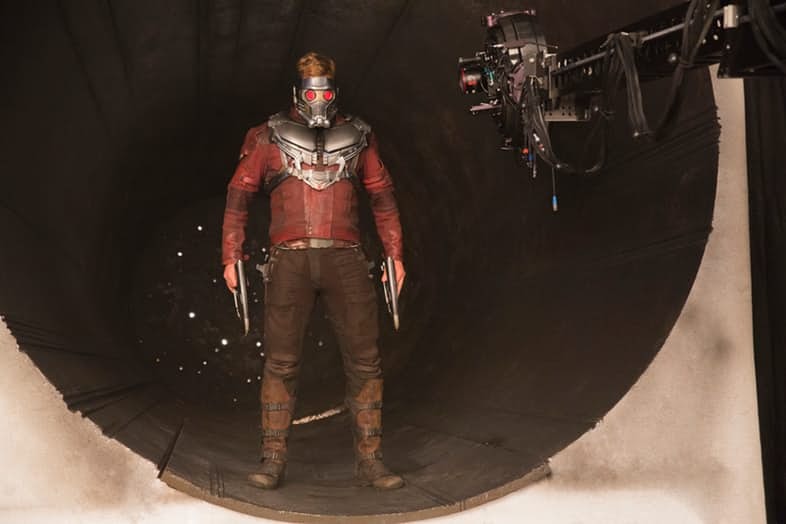 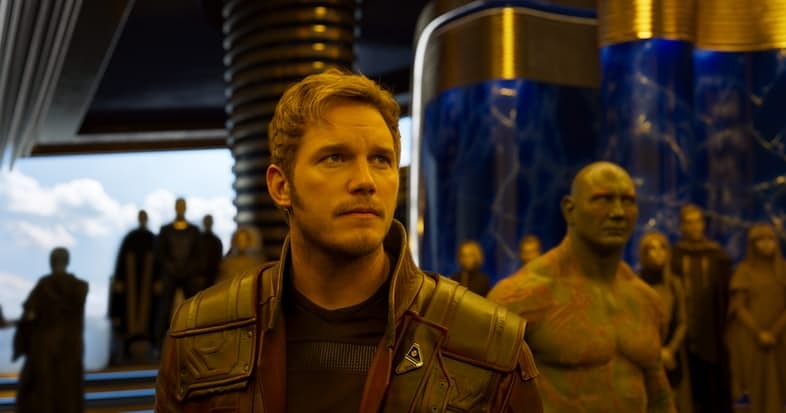 James Gunn’s imminent sequel is by no means the final adventure for Star-Lord and the gang, after the writer-director put any and all rumors to bed by signing on for Guardians 3. 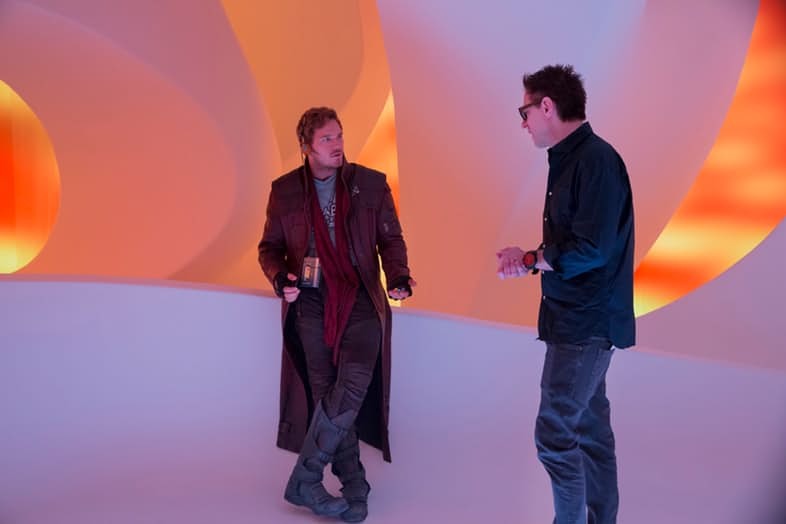 If Gunn’s work rate is any indication, he’ll likely begin brainstorming Vol. 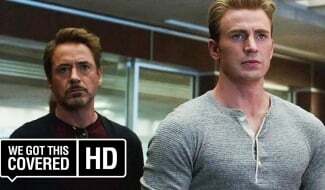 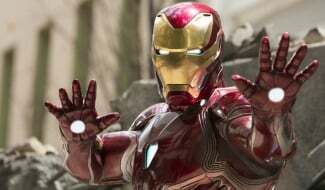 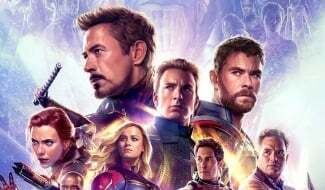 3 the very moment its predecessor bows in theaters, and it’s a threequel that will seemingly “help catapult both old and new Marvel characters into the next ten years and beyond.” Color us intrigued. 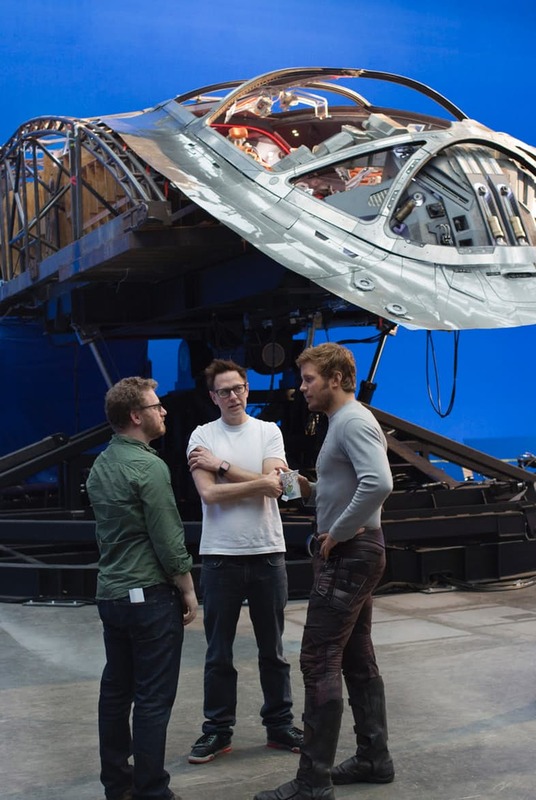 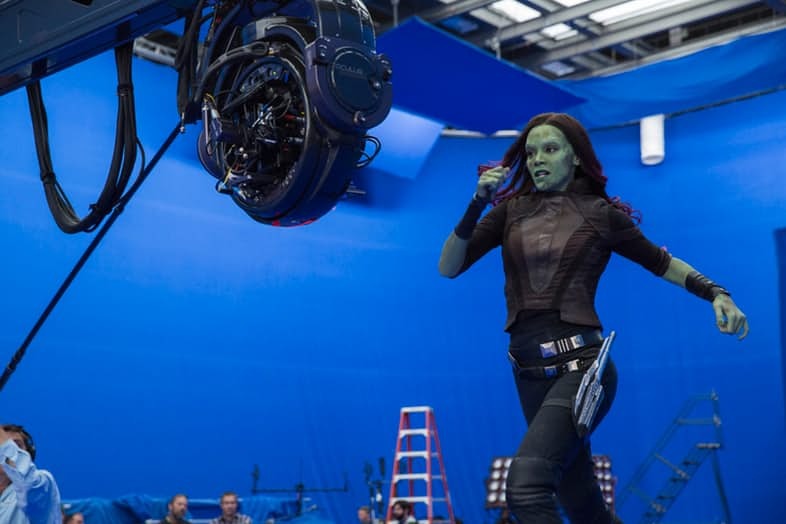 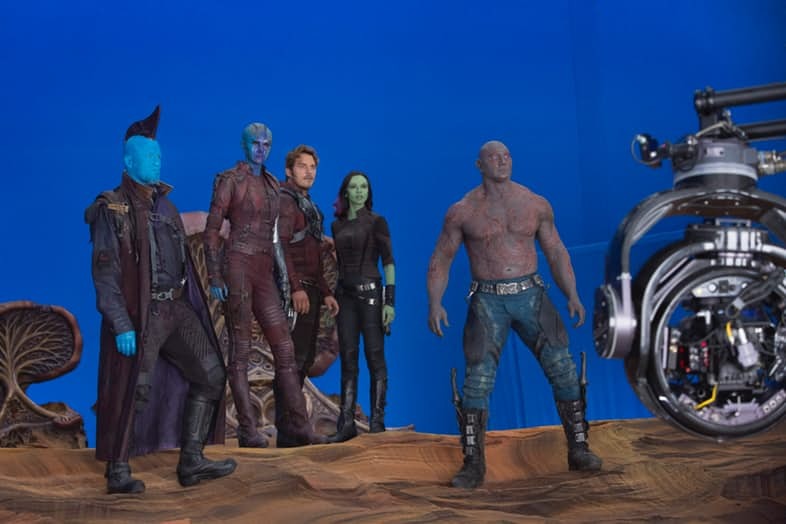 Filming has wrapped, the preliminary critical consensus is beginning to take shape – all that’s left now is for Guardians of the Galaxy Vol. 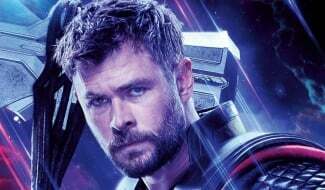 2 to slam into theaters. 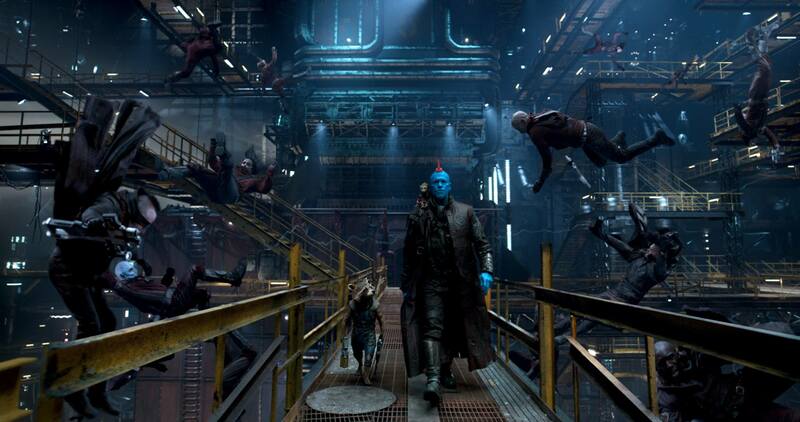 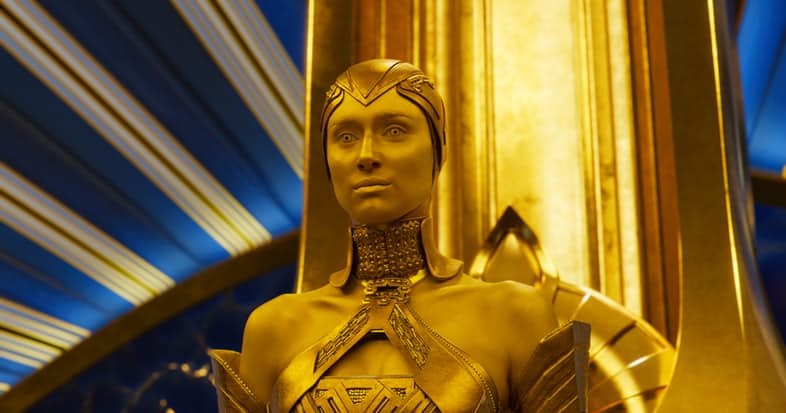 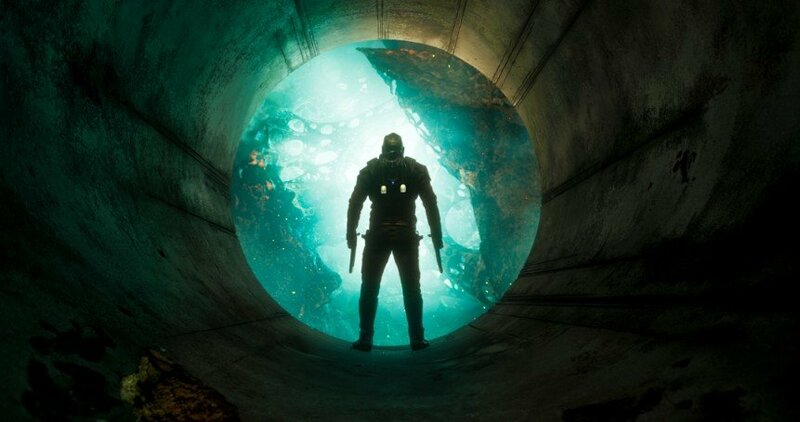 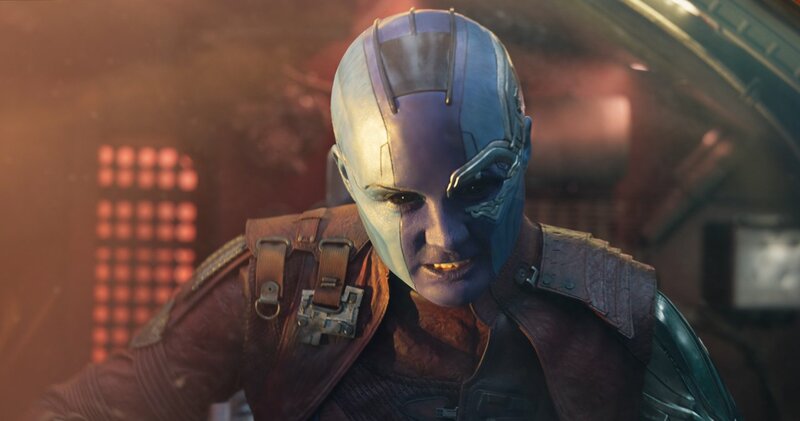 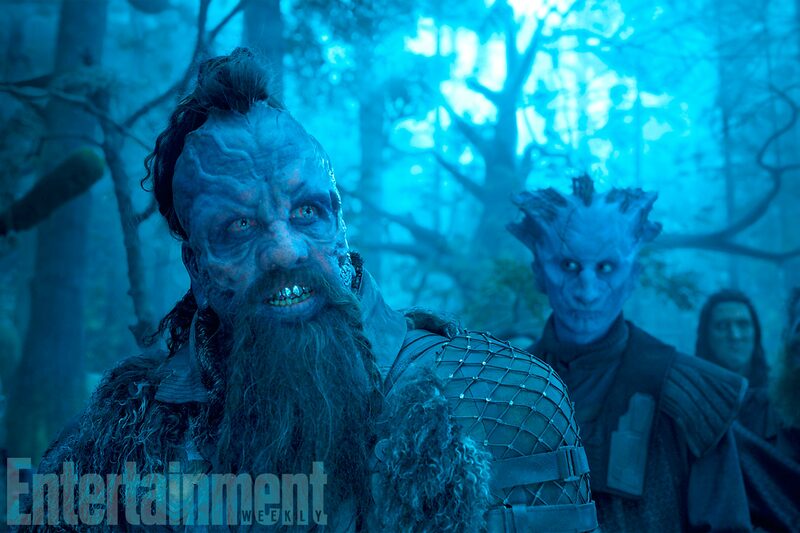 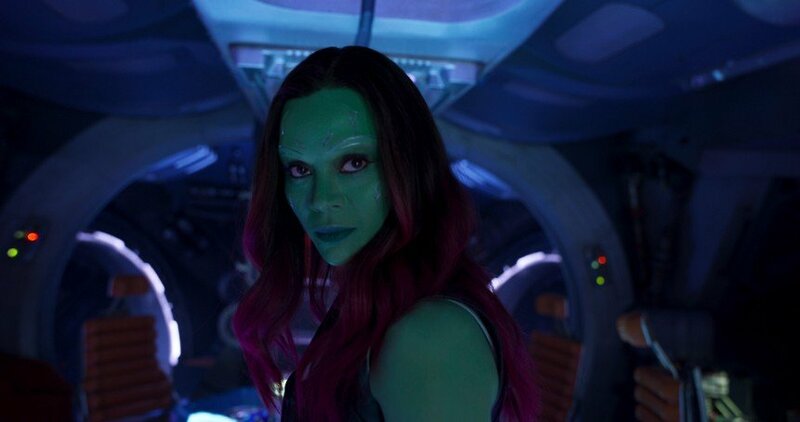 Look for James Gunn’s sequel to arrive on these shores come May 5th, one week after its UK debut on April 28th. 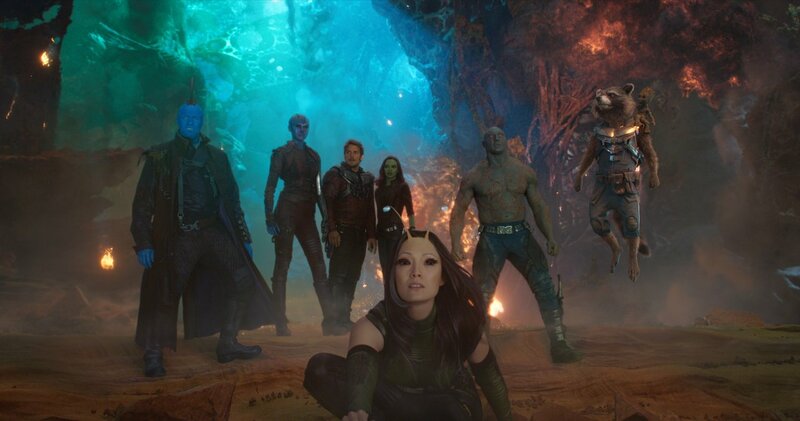 There are multiple post-credits scenes to look forward as well, so you’d best get comfortable once the lights go down in two weeks’ time.